Virtually all games have combat systems. In most, combat is a fairly regular feature in most games; it’s quick and easy excitement. That’s why most games make it pretty survivable. They allow characters to survive massive injuries thanks to “hit points” or “fate points”, or let them avoid them by playing “escape” cards, or allow quite unreasonably reliable parries and dodges, or permit characters to buy force fields or armor, or make otherwise make weapons and unarmed techniques relatively ineffectual. They usually slant things a good deal in favor of the player-characters too, thus allowing them to build up a massive body-count of enemies without eliminating excessive numbers of player-characters along the way. Now, in reality, rather tiny injuries can easily kill a normal, healthy, human being. Ergo, when things get tight, players have a tendency to fall back on trying to inflict “realistic” injuries. If they only have a pen thanks to tight security, they start trying to ram it into opponent’s brains through their eyes, or to slip it into their hearts, or even – in some cases I’ve run across – to use the tube to stab someone in an artery in the neck and take them hostage by holding their finger over the tube to keep them from bleeding out. Oh, if only it were so easy. Who would bother to invent weapons if this sort of thing had a decent chance of working? Would the player’s get upset if the game master had an NPC bypass the normal (survivable) combat system to do this to their character? They should. This is a rather blatant attempt to try to make an end run around the game system to get a desired result. That’s most commonly known as “cheating”. The answer you’re looking for in this specific case comes in several parts. Pens make ineffectual daggers, and their attack statistics will reflect this. If you want something more effective, get an actual weapon. Attacks, wounds, critical hits and special wound effects work according to the rules of the game, regardless of how you describe an action. You cannot switch from “realism” to “game” as convenient for what your character wants to do. Anything your character can do to an NPC, NPC’s can do to your character. Most of those “death from trivial injuries” effects are pretty unlikely anyway. Sure, that artery in the neck IS a vital point – but it’s also rather small and people reflexively duck away from attacks to the neck, a combination that makes it almost impossible to hit. If you do hit it, it’s kind of rubbery – and will often slide to the side, especially when you’re poking it with a rather blunt tip. If you do puncture it with a small object, then there are things called “clots” and “bandages”. A a lot of people survive traumatic limb amputations, which do far more damage to major arteries than you’re likely to manage with some small, improvised, weapon. I’ve had plenty of professionals have a bit of trouble hitting the right spot draw some blood while I was sitting still and cooperating, they had a nice, sharp, needle to use, the light was good, and a ligature had been applied to make the blood vessels pop up to be seen. Doing it with a relatively blunt instrument without all those advantages is going to be a LOT harder. The same goes for ramming something into someone’s brain through the eye. That’s a small target, and one that people instinctively flinch away from attacks on. 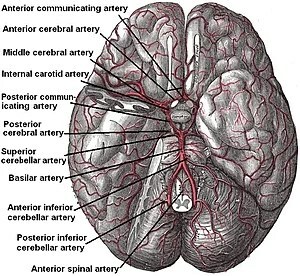 It’s surrounded by bone, and the passage to the brain behind it is rather narrow. In any case, even if you drive something into the brain, it’s often quite survivable; that’s the basic procedure for performing a lobotomy after all, and those are pretty routine. Remember; every species in the animal kingdom lives in a world full of things that want to kill and eat them, ranging from bacteria on up through apex predators. If killing off members of a species was really easy compared to the food-reward for doing so, they wouldn’t still be around.